Our company, Advanage Diversified Products manufacturers and sells a line of cleaning products. The most popular of which is ADVANAGE 20X, a concentrated, multipurpose cleaner. We rely on distributors and resellers to sell our products to households and businesses all over the nation. We’ve been doing this for over 35 years and have over 35 million customers. With that kind of experience, we’re pretty savvy when it comes to working with resellers and helping them meet their sales goals. Over time, we use this forum to go over some of the successful sales and marketing strategies and tactics that we and our resellers use that would be valuable to anyone, no matter what they are selling. However, for this piece, I want to comment on a TV interview I saw last week because, the interviewer made a common mistake we see all the time in our sales people. This is a common mistake salespeople make when conversing with a stranger. They assume the person they are trying to sell to, is on their same wave length. Consequently, they can miss the point and take the whole sales call off in the wrong direction. So be careful. Ask your direct questions directly. And listen, really listen to the answer. For more tips on business success, tune in on this blog regularly. 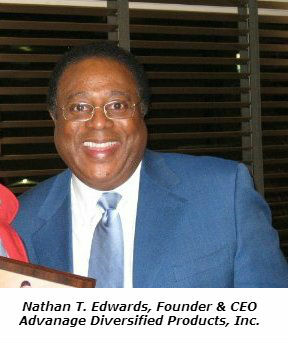 You can also get some great advice from our founder and President, Nathan T. Edwards at www.advanage20x.com/blog. For more information about our Advanage Reseller Program go to www.advanage20x.com and click on Join Us or call 708-331-8390. Actually, you really don’t and shouldn’t. Instead, stay right inside your own personal box. That’s because your box—your way of thinking, working, doing, living—is what you’re all about. That’s who you are. That’s what works for you. So… don’t step outside of your box, instead expand your own box. Grow a bigger box. Bring new things into your box (life). If you read the sport pages, try also reading the front page. If you aspire to do your job better, set an actionable goal. if you sell for a living, write down some new closing techniques and give them a try. If you like urban music, try a listening to a little country and western. If your business life is in a rut, think about starting your own business. For example, our company, Advanage Diversified Products, has a Reseller Program that enables anyone to start a home-based business and sell our products directly from their inventory and sell from a personalized web page we develop for you at no extra cost. And the margins are great, the market vast (everybody buys cleaning products), and the cost to get into the business is affordable. Bring new things into your box… like our Reseller Program. Go for it. Add new ideas and capabilities to your life. You’ll be glad you did. We are all looking for people we can depend on. Family certainly meets that criterion so family is one group of people to hang on to. We are also looking for people we can feel comfortable with. Race falls into that category so race is another group of people to hang on to. You will discover that mankind is far more important than the other two. 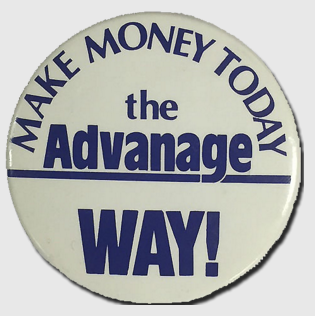 Mr. Edwards is President and Founder of Advanage Diversified Products, Inc. www.advanage20x.com, Tel: 877-588-8391. Actually, selling never stops… you will be trying to convince others to hear what you have to say or do what you want them to do for the rest of your life. If however, you’re planning on going into business for yourself, you’re going to have to take the art of selling to a new level. Inexperienced sales people start out talking about their product, then their company and ultimately may get around to talking about themselves. Successful salespeople do it in the reverse order… sell themselves first, the organization they work for and then the actual product. Think about it. Before anyone will buy anything from you, you’re going to have to make them feel good about being around you. That’s what the great salesmen and women do… recognize their job is to get people to realize that when they buy your product, they are going to feel good about themselves. In other words, selling is about feelings… finding out what will make your prospective customer want to do business with you. Take the time to learn more about selling yourself, because that’s the secret of selling success. Our company is in the selling business and we offer business opportunities for people who want to go into their own business (and learn how to sell themselves). For more information go to www.advanage20x.com and click on Join Us or call 877-588-8391. 1. Available Market… by that we mean you know who your prospective customers are and you know how to reach them. 2. A quality product with broad appeal and one that people buy repeatedly… like a multipurpose cleaner. 3. Decent margins… so when you make a sale you make real money and not just a few bucks. 4. Provides you with an online presence… otherwise you’re back in the last century. 5. Low start-up costs… Buy low, sell high, watch your inventory. Whatever you have to purchase, make sure its inventory that you can sell and make a profit. 6. Marketing help… Training videos and Sales Guides are invaluable. 7. Quality Principal… Make sure the company whose products you are selling is one you can be proud to be associated with. That’s enough to get you off on the right foot. You can find out more information about our Advanage Reseller Program by going to www.advanage20x.com and click on Join Us or you can call us at 708-331-8390.